The kitchen is hailed as the heart of every home, and for good reasons: cooking meals with loved ones, discovering your new favorite recipe, the smell of freshly baked food are just a few that come to mind. Winter can be a fleeting season here in Florida, and the average temperature during the summer months usually exceed 85º. You may find that adding the extra heat source from cooking inside isn’t always desirable during this time – and that’s where outdoor kitchens come in! Outdoor cooking has always been a wildly popular culinary staple in the South, but for Floridians it’s an art form. The long seasons of balmy weather, coupled with our willingness too plan a get-together for virtually any reason means our outdoor entertaining is on a level of its own. A grill and some deck chairs can get the job done, but why not take it up a notch – or several – with a complete outdoor kitchen and patio area? We’ve put together four reasons why we LOVE the growing trend of outdoor kitchens – and why you should too! Hosting a party indoors can be fun, but they can also get a little crowded. Having an outdoor kitchen and entertaining space of your own ensure that your parties will never feel cramped. The bonus: everyone will be free to enjoy the gorgeous Central Florida weather! 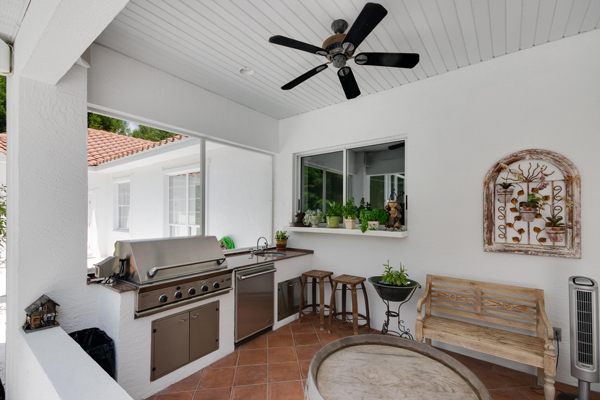 You’ll also be able to avoid being cooped-up in a hot kitchen while your guests mingle – cooking and entertaining outdoors frees you up to socialize while prepping and serving delicious eats among your guests! Plus, you’ll be able to avoid frequent trips to and from the indoors for seconds, refills, snacks, and cups! 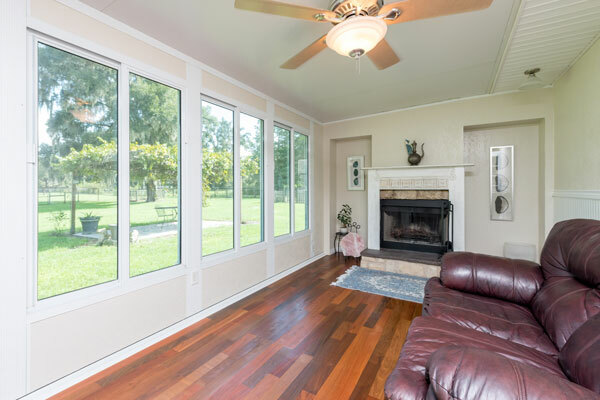 If you’re worried about the comfort of your guests, you can add in some outdoor accessories such as patio heaters / fans, furnishings, an outdoor audio system, and more! Baking, frying, roasting – all of these contribute to raising the temperature of your home. Especially in the summer months, when your AC has already been working hard to balance the temperature inside, adding pockets of heat in your home can activate the AC for hours as it tries to balance out the temperature. Using an outdoor cooking source can save you a substantial amount of energy from the air conditioning alone. Add in the energy taken to run several appliances at once vs. using a grill, and you’ll find the savings add up quickly! Especially in the summer months, opening up a window may not be an option. If you’re experiencing lingering food-smells with no way to effectively air-out your home, a summer kitchen may be just the ticket! If you have a love of more odorous foods (think those of the deep-fried and fishy variety!) but no love for the lingering smell, preparing and cooking food in your very own outdoor kitchen can keep your home smelling like.. well, home! Not to mention you’ll never have to worry about fabrics of couches, stored clothing, curtains, etc. absorbing the smells and holding on to them for days if you’re cooking outdoors! Make sure to grill veggies too, whether alone or in kebabs! Just cut into pieces that will cook quickly and evenly, and brush with oil to prevent sticking. Even dessert can be a fun, grilled dish: we suggest trying sliced apples, pears, pineapples, or even halved bananas, peaches, or plums! The high heat of your grill will caramelize the natural sugars in fruit, giving them an extra sweetness and a new profile of flavor! 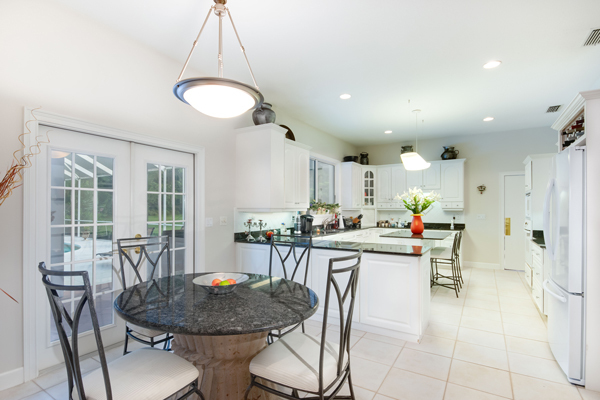 Summer Kitchens continue to be a trend in home improvement, as homes with outdoor kitchens are well-known to have a high rate of return on investment. Not only do they give your home’s total living space more mileage and offer you years of rewarding entertaining experiences, but they also make a home more enticing to potential home buyers. Stainless steel appliances are especially desirable due to how easy they are to clean, as well as their ability to handle changing temperatures from season to season. A functional outdoor kitchen can be an investment that you, guests, and any future owners can enjoy for years! Homes with outdoor kitchens can potentially see a return on their investment ranging between 55% to 200%, according to Quicken Loans. 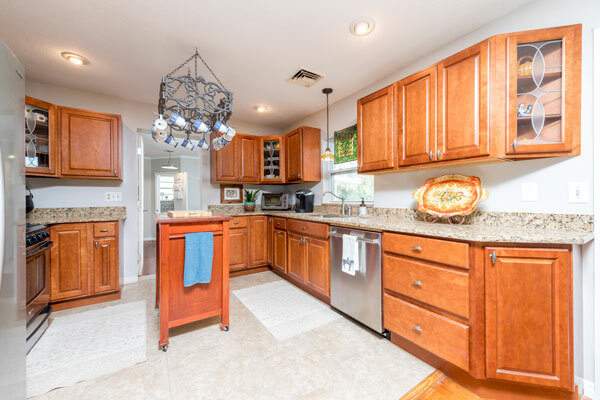 Browse our homes with summer kitchens listings to discover what makes Central Florida the perfect place to live. Not finding what you’re looking for? Contact one of our experts today to narrow down your search. This Mediterranean-style estate offers 5-bedrooms, 3.5-bathrooms, expansive eat-in gourmet kitchen, inviting fireplace, and executive office with custom built-ins and bar. Well appointed with custom upgrades, including tray ceilings with ambient lighting throughout formal living and dining areas. El Dorado Estate is perfect for entertaining indoors and out near the lagoon-style pool with infinity spa and outdoor summer kitchen. On nearly 2 acres, this home greets you with a large circular driveway, detached 3-car garage and impressive entryway. 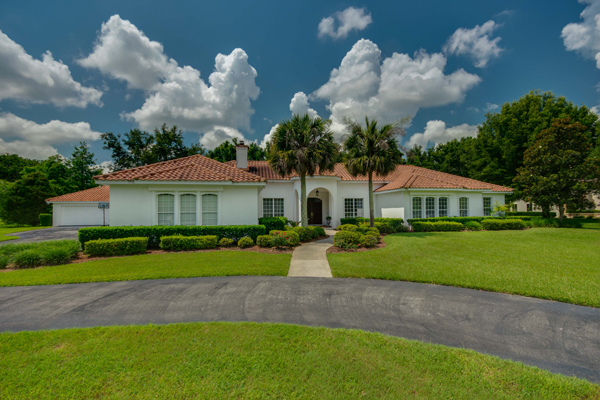 Centrally located in Ocala near the Paddock Mall shopping area, Downtown Ocala, and nestled between World Equestrian Center and Florida Horse Park. This home is selected for Shady Hill Elementary, Liberty Middle, and Westport High schools. 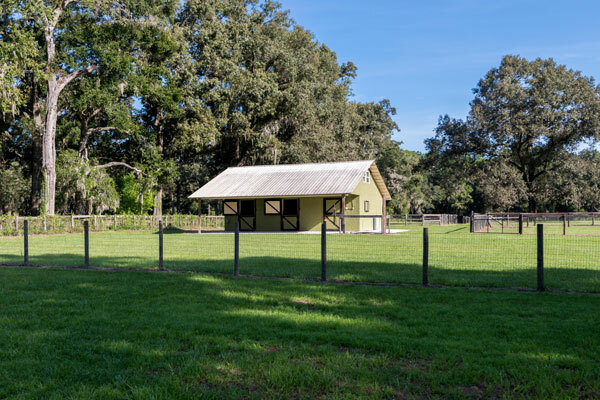 On a vibrant 5-acres near the Santos Trailhead of the Florida Greenway and Florida Horse Park in SE Ocala, Moss Oak Farm is the perfect mini-farm with a prime location. The 3-bedroom, 3-bath home offers a variety of amenities- original hardwood flooring, split bedroom floor plan, cozy fireplace, updated kitchen, and modern spa-like bathrooms. The 3-stall concrete barn is perfect for horses and owners, with a huge tack room and two-story guest apartment. The property is made for riding, with perimeter fencing, and paddocks with cross-fencing and no climb, all gently shaded by live oaks. 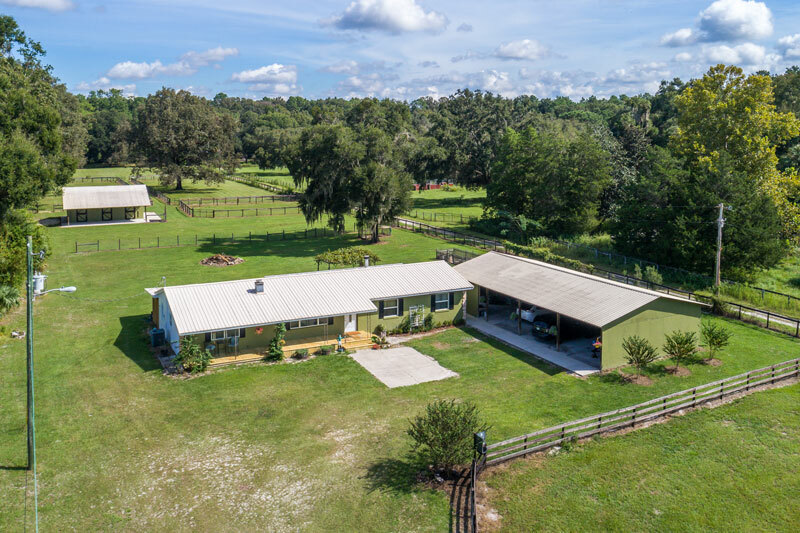 With well designed layouts and meticulously maintained, this farm is a lovely backdrop for those looking to pursue an active equestrian lifestyle without sacrificing convenience and ease. 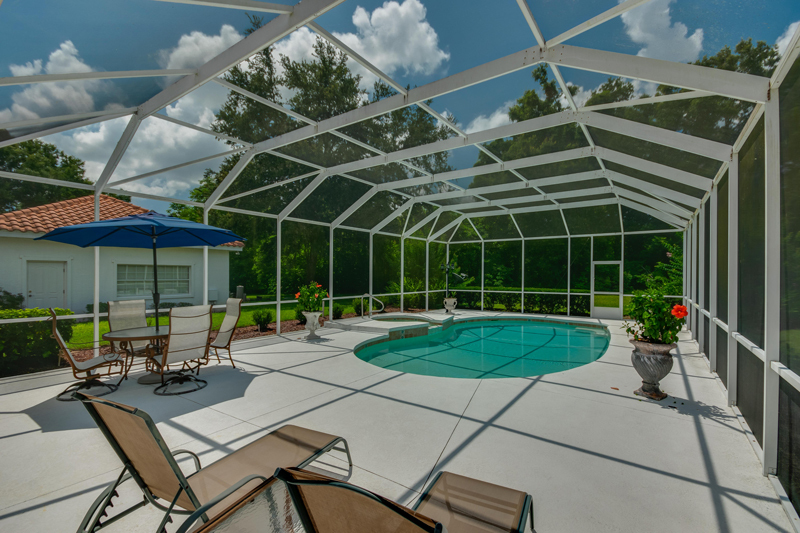 Looking for help finding the perfect Central Florida home for you? Contact an experienced Showcase REALTOR® to learn more about these properties, or to schedule a showing today. Homes with Summer Kitchens not really your style? Take a look at our neighborhood spotlights and find the perfect Marion County neighborhood for you!